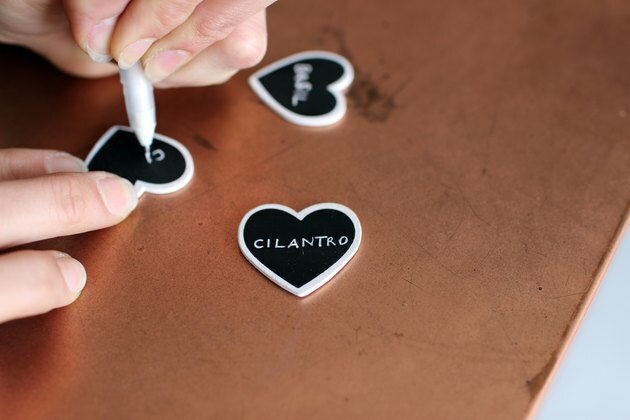 This DIY is the perfect gift for the chef in your life, which may be yourself! 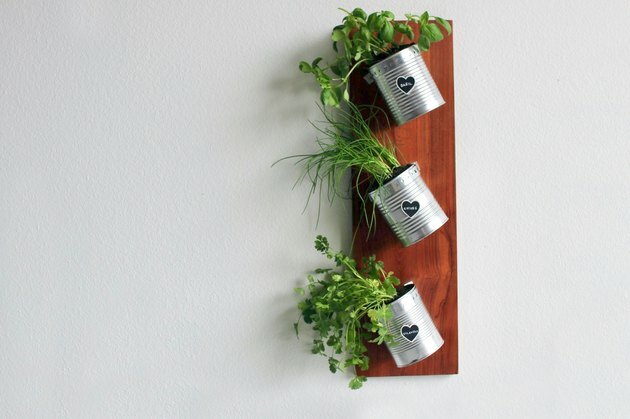 This is a beginner level woodworking DIY that doesn't require too many materials or tools, but will leave you feeling like an expert. Let's get started! 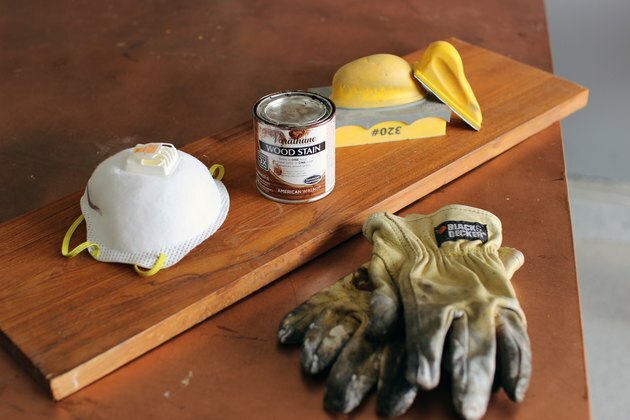 Start by painting or staining your wood the color that best matches your space. 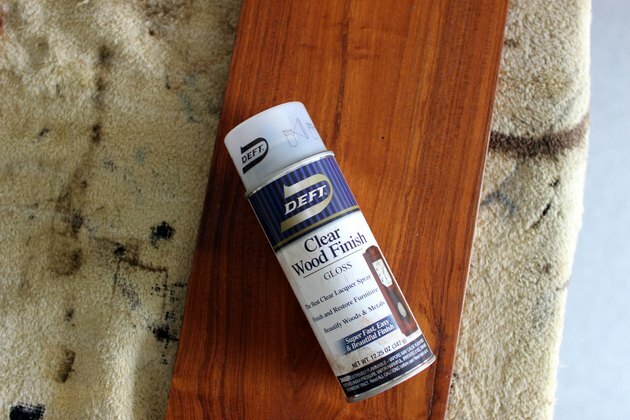 Sand down the piece of wood (I used a 320 grit) and stain or paint. 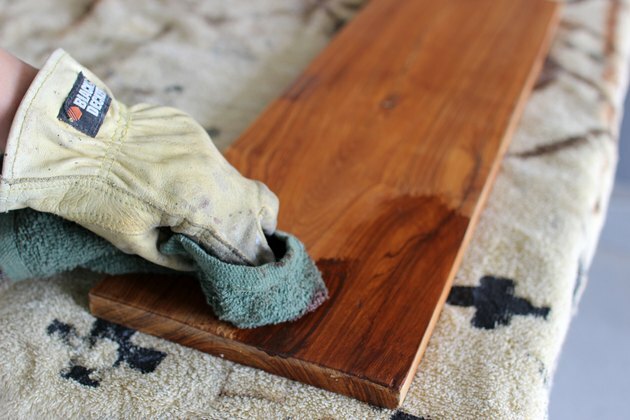 Wipe the dust away with a wet cloth and apply the stain once dry. 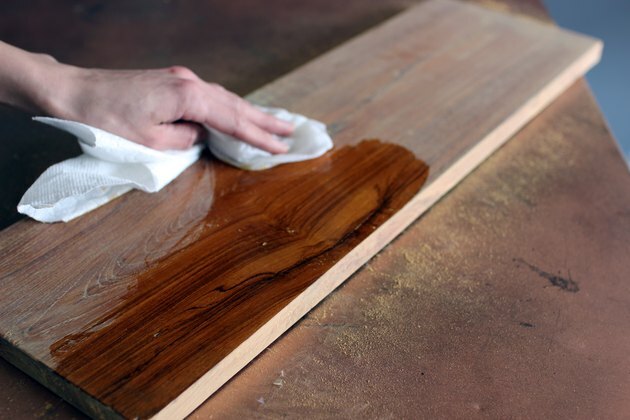 You also want to treat your wood! 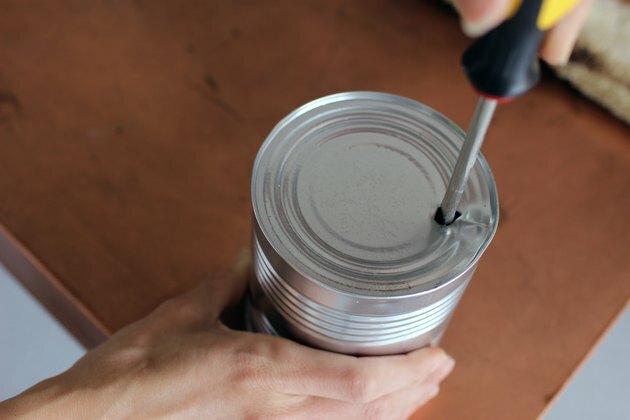 Use a hammer to push your screwdriver through the bottom of each can, creating four holes on the bottom of each. 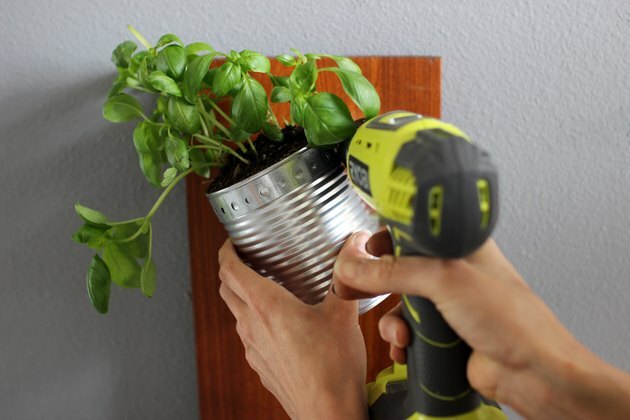 Twist the screw driver to make the holes a little bit bigger. Repeat as much or as little as you'd like for drainage! 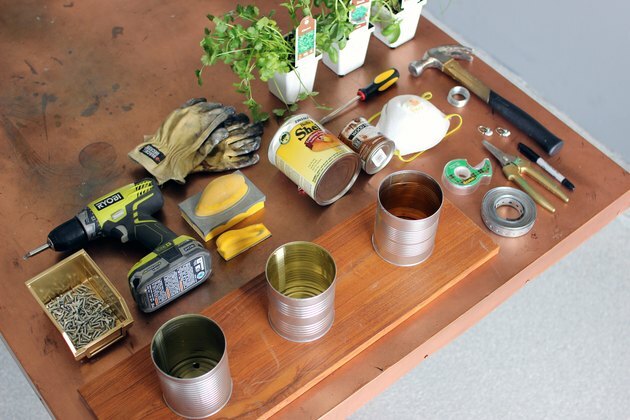 Space your cans out evenly to match your length of wood. 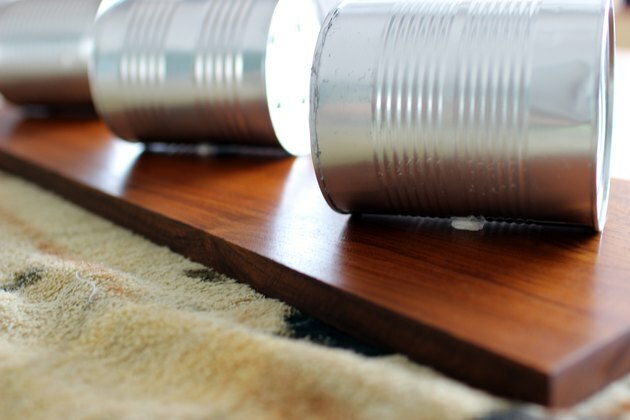 If you add a piece of paper towel underneath each can, it will help hold them in place so you can easily adjust positioning. 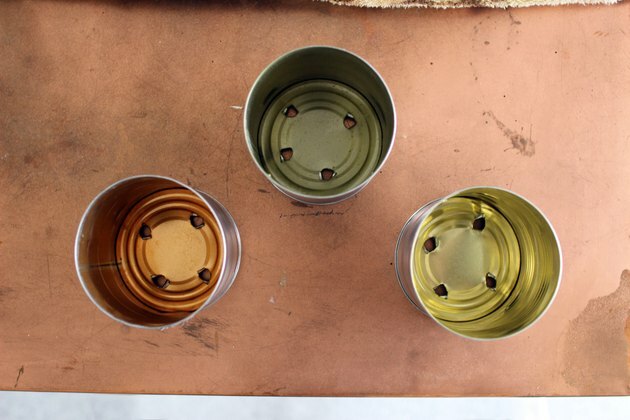 Roll out your steel bracket strips and bend them around the front of your cans, leaving at least one hole space on each side for screws. 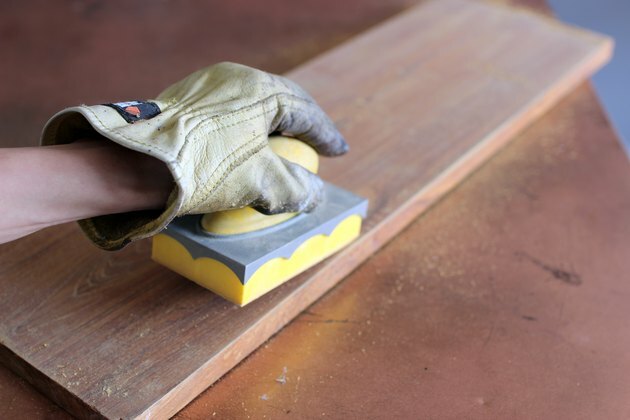 Be sure to wear gloves since the edges are sharp. You want to be gentle and patient. 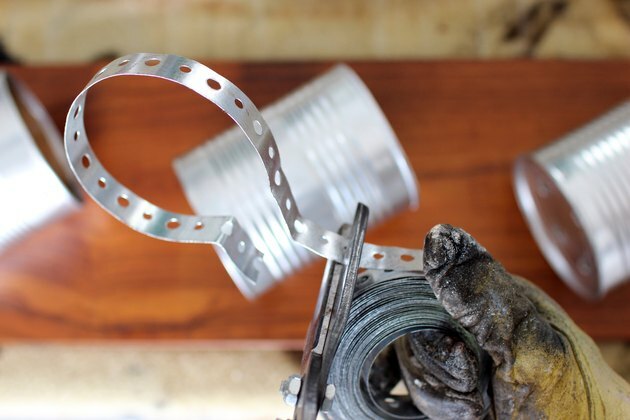 Cut your steel down and repeat for each can. 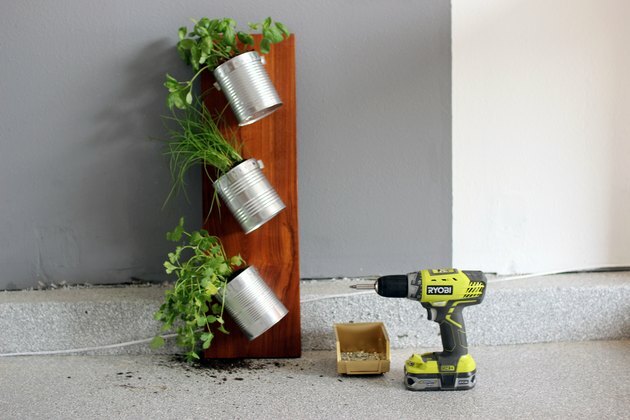 Make a mark in one hole space on each side of each can for the screws. 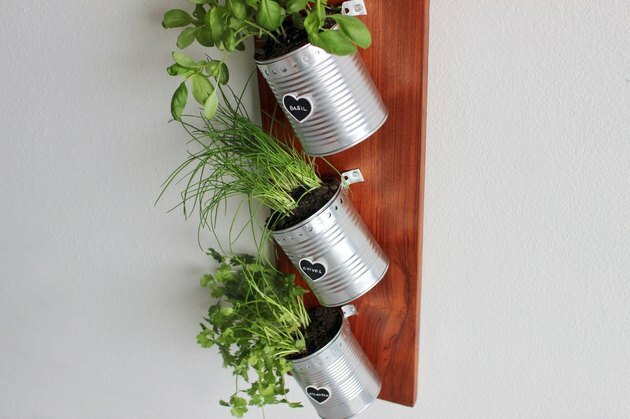 Select your choice of herbs to insert into the cans (I bought these herbs from my local Home Depot)! Place one end of a bracket on your first screw mark you made, then screw it in. 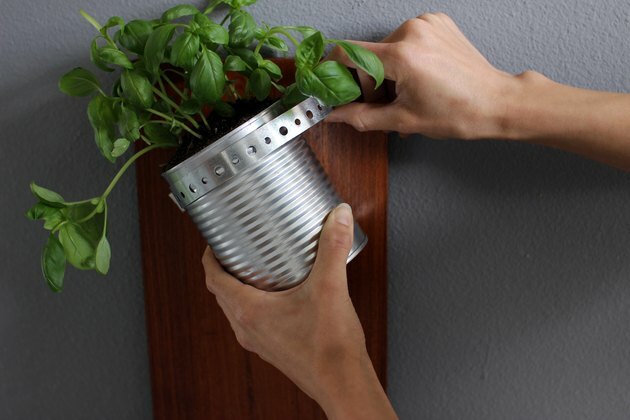 Ensure the can fits nice and snug before screwing in the other side. 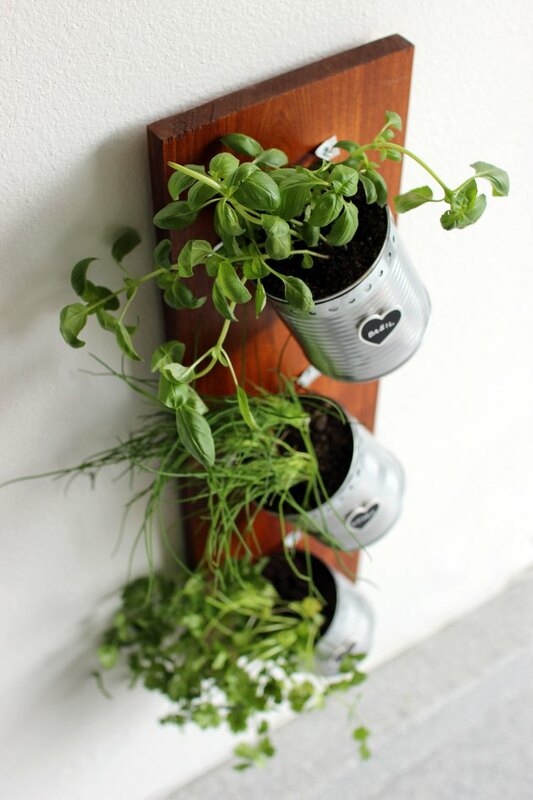 Repeat with the remaining cans. 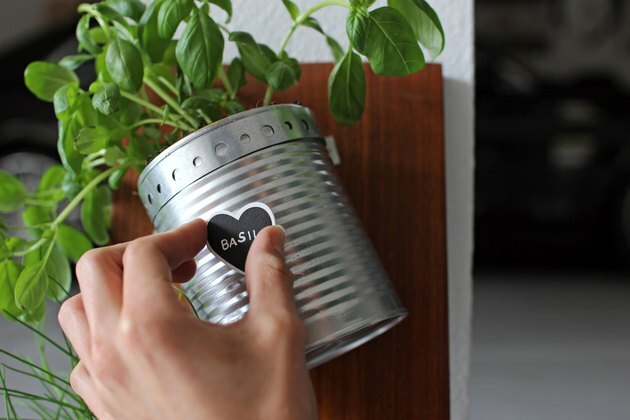 Add labels for each herb! 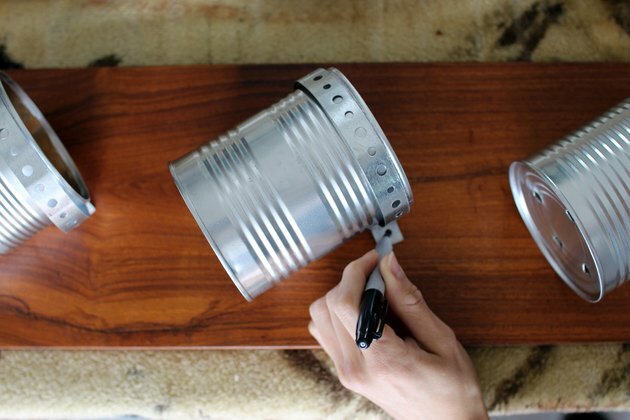 Add a dab of hot glue and stick to the middle of the can. 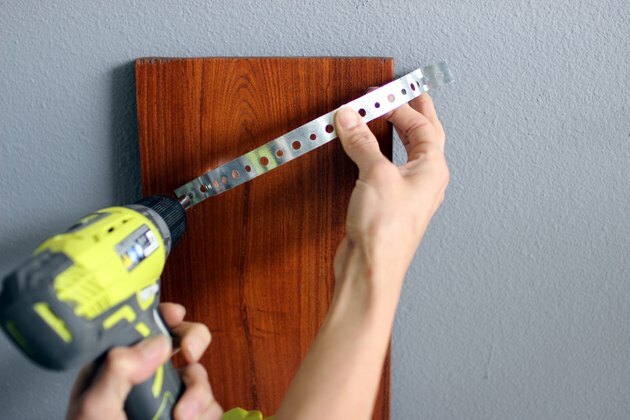 Attach a picture frame holder to the back of the wood. 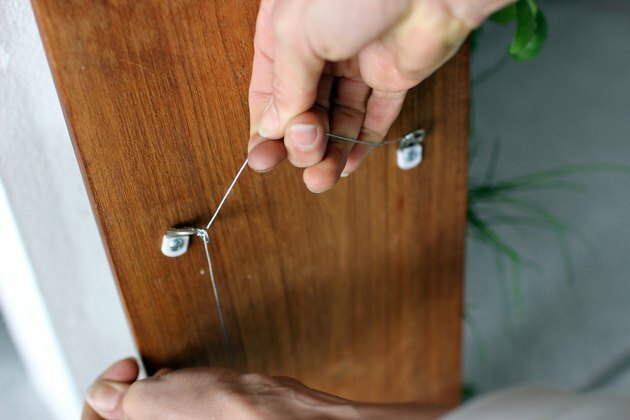 Be sure to have the proper hanger on the back for the weight of the project. 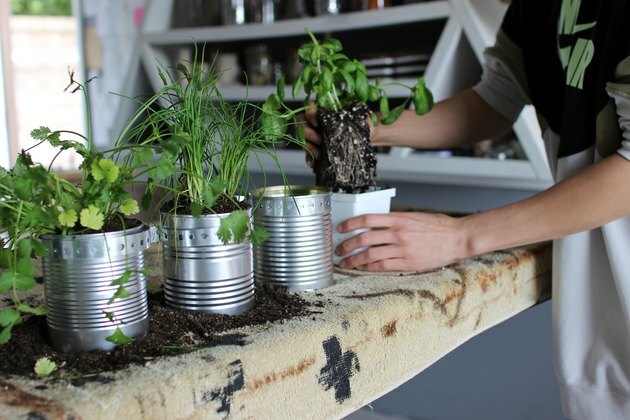 I hope you enjoyed this take on a DIY indoor herb garden. 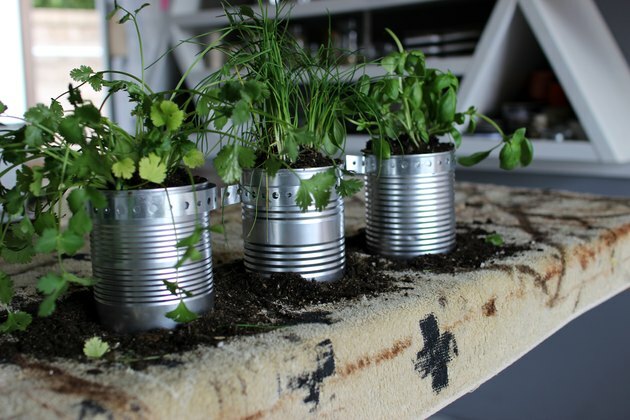 Happy DIY'ing!